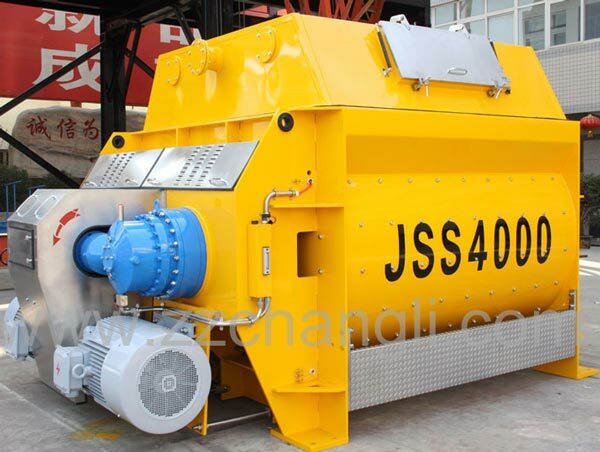 The Double-spiral-belt Concrete Mixer JSS500~4000 is one of our company’s new product. Its design is based on Germany technology and combines our company’s new shaft end sealing technique paten (Paten No. : ZL2007 2 009871.2). 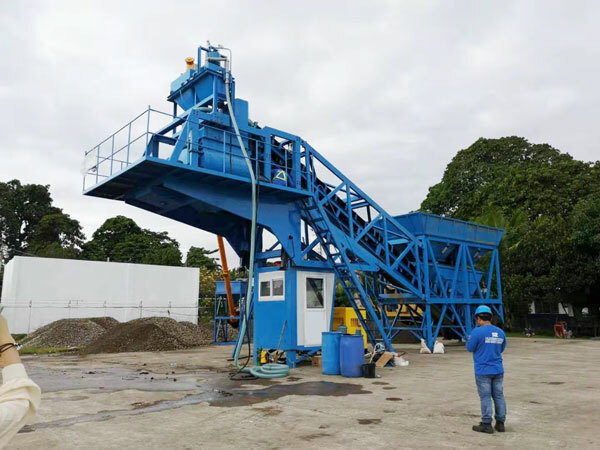 This new design machine has many advantages, high mixing efficiency, well mixing evenness, low noise, less power consumption, nice sealing, reasonable structure design, easy maintenance and long working service. 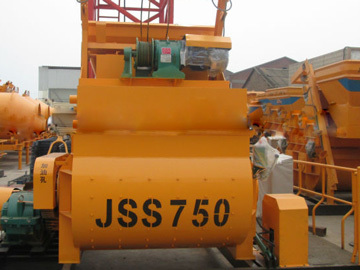 It shows the developing trends of the construction machinery. 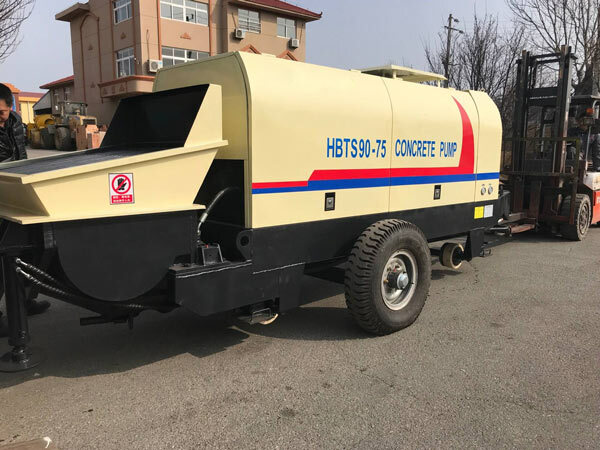 Insisting on the tenet of tech deciding quality and service bring value, we Zhengzhou Changli Machinery Manufacturing Co., Ltd. are devoted to supply more professional, more practical, safer and more efficient construction machinery. 2.Adopting new multiple sealing patent (Paten No. 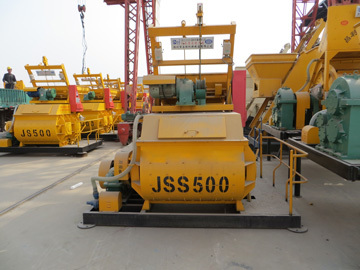 is ZL20072009871.2), and imported sealing elements, the sealing performance of the mixer is nice and machinery working life is longer. 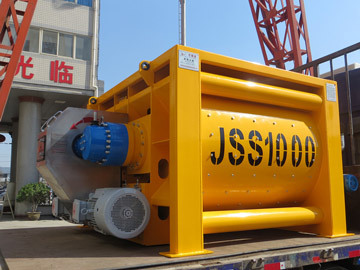 b.Large numerical control coordinate borer is used to process mixing shaft and bearing mouth, ensuring the shafts concentricity and accuracy. 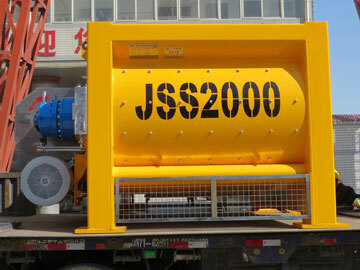 c.Sand-blasting skills can make the paint more durable and product more beautiful. 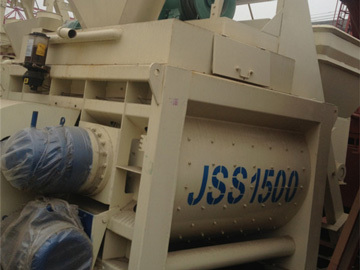 d.Strict tests, including mixer’s temperature rising, vibration, noise, etc, through production, assembly and portability. It is necessary to guarantee the quality of products.